His mother’s passion for food inspired Michael to develop his own passion and an interest in cooking. Michael, a native of Italy, attended school in Rome where he crafted his talent. 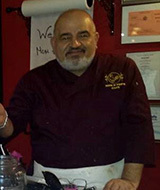 Michael moved to the United States in 1974 and began serving up his flair for traditional Italian dishes and pizzas to Schenectady. Michael was the executive chef for an airline catering company for ten years throughout the Northeast where they provided first class service meals to international clients. He has also owned and operated Italian restaurants as well as catering for all types of functions. Michael’s last restaurant was on Cape Cod known as Papa Bello Italian Ristorante. 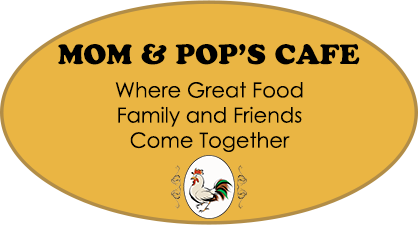 After moving back to Ballston Spa and working for a local food distributor for many years, Michael and Donna decided to go back in the restaurant business and opened Mom and Pop’s Café Inc. in 2014. Donna started in her mom’s kitchen at a very young age cooking and baking where she developed her love and passion for food. Donna grew up in her dad’s restaurants (Sammy’s Pizza) in Latham, Cohoes and Colonie (that’s where Mike and Donna first met in 1984). She mastered her skills as a great cook and leader in her dad’s kitchens. This was the beginning of her career in the food industry. 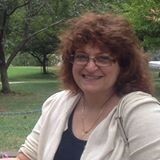 Donna has knowledge and passion for food and loves to bake, where at Mom and Pop’s she does most of the baking. Donna has worked as a caterer, dining room manager, and for the last 9 years she enjoyed working as a baker at a local nursing home.